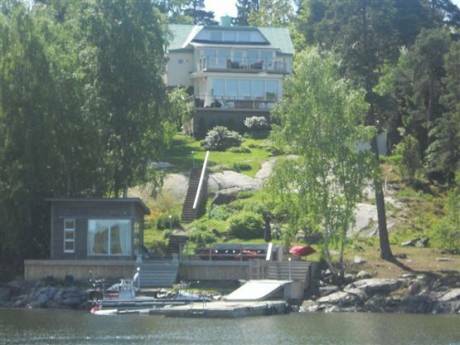 Cosy flat with sea view (sea 25m) and 15 min to the center of Stockholm. The apartment is located by a small marina, in a calm and pleasant area. Lovely spots for swimming in the sea and areas for rambles nearby. Shops, cafés and restaurants are located in the area. Food store 200m from the flat. 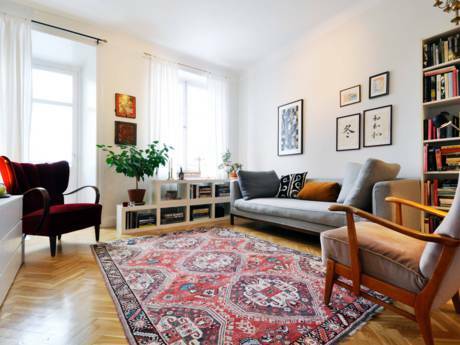 The apartment is renovated and has wooden floors, windows facing east and west and a beatiful view towards lake Mälaren. 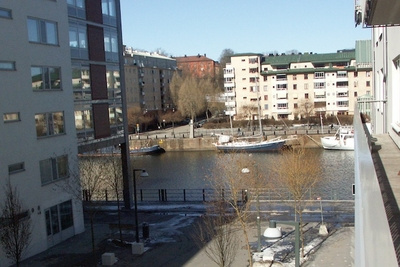 What we really like about the neighbourhood is the closeness to the water and green areas, in combination with the short distance to Stockholm city. The transportation is excellent, a modern tramway and busses run every 5-10 minutes, just 200 metres from the flat. The neighbourhood is calm and cosy. Communications officer, working at a bank in Stockholm. English and French.